The Coach and Horses Inn is famed for its phantoms. You'll find more spirits than you bargained for when you visit some of Victoria's pubs. With our rich history and ingrained propensity for intrigue and legend, it's little wonder that our state has several famous spots where the ghoulies like to gather. Consider our love of a social beverage as well, and it's even less surprising that quite a few of these haunted locales are also the local haunts of the more flesh-and-blood barflies. But are these accounts true-life ghost stories, or just fairy tales? Can there really be a phantom of the ale house, or is it all drunken folklore? Follow the links below to check out our top three haunted Victorian pubs and their spooky stories, then let us know what you think – or tell us where you've seen a pub-loving ghost of your own. The stables of the Coach and Horses Inn are said to be haunted. It was once the first Cobb & Co stop on the road from Melbourne to the goldfields, but little of mention is left in Clarkeville now – apart from its remarkable pub. The Coach and Horses Inn, located about forty minutes from the city, is over 150 years old and still draws the patrons. The bluestone building and stables were apparently the location of much strife back in the day, and are rumoured to be home to several ghosts. There have been reported sightings of at least three spectres – an Irish seaman who was robbed and killed, a Chinese miner who was hanged in the stables, and a young autistic girl whose father threw her down the well. According to Victorian Phantom Hunters, footsteps can be heard in the hotel in the middle of the night, glasses smash and paintings fly around of their own accord, and two gas jets are repeatedly found turned on. The seaman has apparently been seen running down the stairs, while the girl has been spotted crying in the bathroom, and the miner haunts the stables where he died. The inn is open from 11am until midnight, seven days a week, and has a standard modern pub menu available for lunch and dinner, so you can grab a bite to eat and check it out for yourself. Whether or not you spot a ghost, it's worth a visit, as either way, you're bound to see plenty of strangely alive-looking dead things – the place is a triumph in taxidermy. The Elephant Bridge Hotel is reportedly still haunted by its former mistress. 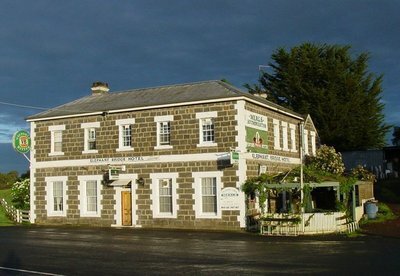 In Darlington, on the Hamilton Highway back road, about two and a half hours from Melbourne and an hour from Warrnambool, there is little to see apart from the Elephant Bridge Hotel – and the sign proclaiming it to be the most haunted pub in Australia. 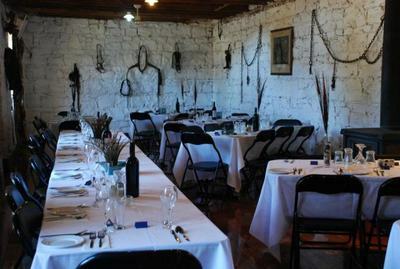 The heritage listed bluestone hotel has been in operation since the mid-1800s, and has garnered a tale or two in its time. The pub is said to be haunted by four ghosts, one of whom is a young woman, one a man in his thirties and another a child who drowned on the property. The fourth and most famous ghost is purportedly that of Adeline Eliza Satchwell, the hotel's longest standing publican, who died in 1943. There have been numerous reports of all four ghosts, but most especially of the 'presence' of the former licensee, who apparently never knocked off even when she checked out, and who, to this day, seems reluctant to give up the ghost. Luxuriate in the mystery of Craig's Hotel. Renowned as Ballarat is for its haunted setting, it would be disappointing indeed if it had a pub with no leer. Needless to say, that's not the case, as Craig's Hotel provides plenty of mystery in its history. The swish boutique hotel has been fully refurbished but still honours its gold-rush era heritage. Famous for the day Dame Nellie Melba sang from the balcony, Craig's Hotel has also hosted a few other illustrious figures, including Mark Twain, Sir Donald Bradman, and no fewer than seven assorted royals. One of the most intriguing stories of all, however, revolves around its 19th century owner, Walter Craig. Craig was perplexed by a strange dream he had in 1870 in which he envisioned his horse winning the Melbourne Cup, ridden by a jockey wearing a black armband. Craig died shortly after, and when the Melbourne Cup was then held, his premonition came true – his horse won, and the jockey wore a black armband in tribute to Craig. 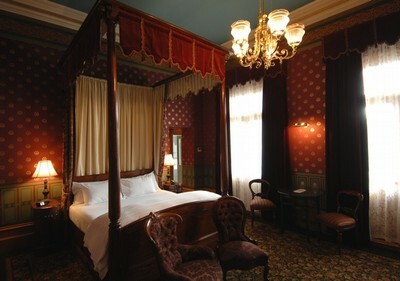 Visitors can have a drink at the hotel, take high tea, or even stay in one of the plush rooms, and see if Craig's ghost comes a-calling. Why? Get into the spirit of Victoria's haunted pubs. When: See website links for specific hotel business hours. Cost: Varies - see website links for details. Wonderful. Theres a great Ghost tour in Sorrento too which takes you through all the buildings and talks about the founding father there. George Coppin. Old pubs always intrigue me, but as I am not able to induldge in a spirited liquid libation due to health issues, visiting a pub for another type of spirit would certainly convince me it is worth my effort. And it wouldn't be too hard to convice my hubby to visit one or more of the pubs you have written about as he does enjoy propping up the bar on the odd occasion. I like the idea of a spirited pub crawl with a twist. Will have to check out the one in Sorrento too. I enjoyed this article. I would like to go visit these Pubs myself, and see if I can meet a ghost or two. I have driven past the Elephant Bridge hotel many times and I didn't even know it was haunted. 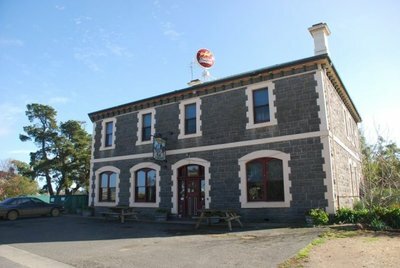 The Coach House Inn in Bright Victoria has a Ghost of the Original Female owner from back in the mining days when it was a Brewery. D Mont.